Ready for Marketing That Catapults Your Brand? Fueled by data-driven marketing, Catapult X partners with you to launch products and programs for science and STEM education. With deep knowledge of the K-12 and higher education markets, we combine the craft of creatives with the strategy of market planners to create campaigns that uniquely resonate with the minds and hearts of science and STEM teachers. It’s time to use the only market research developed exclusively for STEM Education. 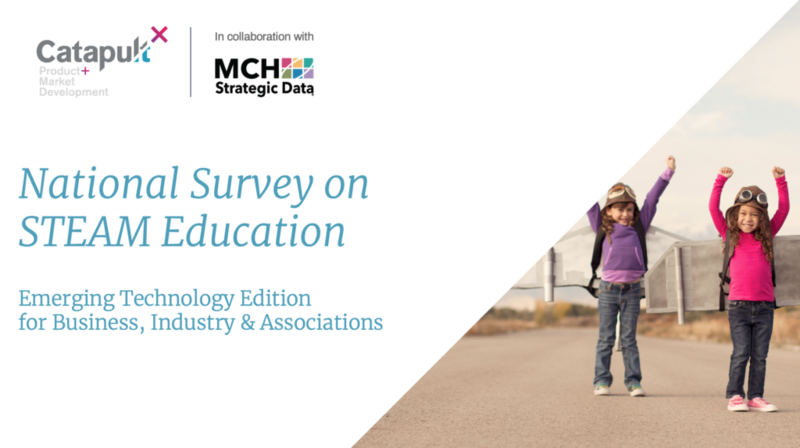 Over 2,791 STEM educators responded to the research. Topics include virtual reality, coding, biotechnology, simulations, Internet of Things, robotics, gaming, probeware, drones, artificial intelligence, 3D printing, cybersecurity, makerspace, and project-based learning. The Landscape: How are educators currently implementing STEM? The Horizon: What are the spending priorities? Market Need: Where is the opportunity? Outreach: When is the best time for sales calls, emails, & catalogs? Social media: Which channels are used most by which demographic? Maximizing ROI: What’s the best way to maximize your budget? Teachers are the voice of your market. We listen to educators so you can stay ahead of your competition through market analysis, positioning, concept testing, pricing research, and customer satisfaction studies. Your educators are science experts. Your research team should be too. Our focus groups, in-depth interviews, surveys, and competitive reports provide you with unmatched insight so you have the data to support your brand vision. Our creative team sets us apart. We are writers and artists with passion, dedication, and curiosity for science and engineering. We are thinkers who problem solve so your marketing communicates with the hearts and minds of science and STEM educators. It takes both data and vision to launch strategically. At Catapult-X, we collaborate with you to identify distributors, public relations providers, advertising options, and digital marketing. From SWOT analysis through execution, we work with you to identify resources and develop a plan specific to your brand.